Just 1 more day until my birthday! Isn't that the coolest? You must know by now that I can't have my birthday without giving back to the wonderful followers of Oh to Be a Muse. So to continue with all the giving this month, the Muse and Sadee Says would like you to enter the Sadee Says B-Day Giveaway courtesy of Sadee Says and Bita Pourtavoosi! I've been a fan of Bita's baubles for a few years now, ever since I saw them while working at Max & Chloe. Her aesthetic is quite unique. 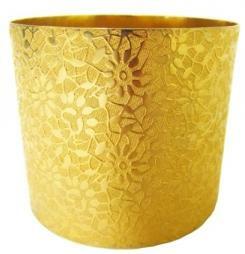 Now you can win this gorgeous floral patterned bangle by Bita Pourtavoosi! See how I've worn it! You can wear it low at the wrist or pull it up like a cuff by the elbow. ♥Sign up for the Sadee Says Newsletter (enter your email where it says "Sign up for Exclusive Deals" at the top right of the page) - leave a comment in this post letting me know you did that! ♥Fan my Facebook page and Comment there letting me know you entered the giveaway! ♥Follow Sadee Says on Facebook - leave a comment in this post letting me know you did that! HAPPY BIRTHDAYYY m'love! You're too much of a sweetheart with a whole bunch of gorgeousness, so may the years add on some more sparkles on ya. HAPPY BIRTHDAY, LOVER FACE. :) I am so excited for you. Happy bday Cheryl! It's my bday in a week too!! Exciting - hope you have a great day. I'm a fan of Muse on FB and have signed up for the newsletter!! I also liked Sadee says on Facebook! Happy Birthday!!!! I already liked you in FB. :) I also liked Sadee on FB. And I signed up for their news letter! Happy birthday, Cheryl! Blessings to you on this lovely day:) And that cuff is gorge. Hello, Happy Birthday to you!! Thank you for this beautiful prize. Stoping by to say HAPPY BIRTHDAY!!! I hope you have an awesome day!!! Happy early birthday. Hope you had a blast! Love this cuff! That floral pattern is so pretty! I signed up for your newsletter and like you on FB as Katy M.
I like Sadee Says on Facebook as Katy M.
Marvelous cuff!!! Darling Happy B-day and all best wishes from my heart!!! Enjoy in your day!!! Ohhhh The Birthday Girl! I'm excited for you Cheryl! That cuff is gorgeous. What a great way to celebrate your birthday. Have the best day ever! Hi sweety, sorry I haven't visited sooner, I was off on a short break. I am glad I'm back in time to wish you for your birthday! May you have the most wonderful day, as special and precious as you are. I wish you a year filled with joy, happiness, love and success and may you receive everything you've wished for! I have like Sadee Says FB page! I am signed up for Sadee Says newsletter! Happy late birthday!! I've signed up for the newsletter and my email is freeeedz at yahoo dot com. And I like her facebook page as well as Ria Kod. Happy Birthday! I added the exclusive deals newsletter, posted here and will also be liking on facebook! I entered & I already subscribe :) happy birthday!! MWAH!!! ♥Sign up for the Sadee Says Newsletter - leave a comment in this post letting me know you did that! Im follower as Magdalena G.
+Follower Sadee Says on Facebook aswell. I subcribed to Sadee's newsletter! 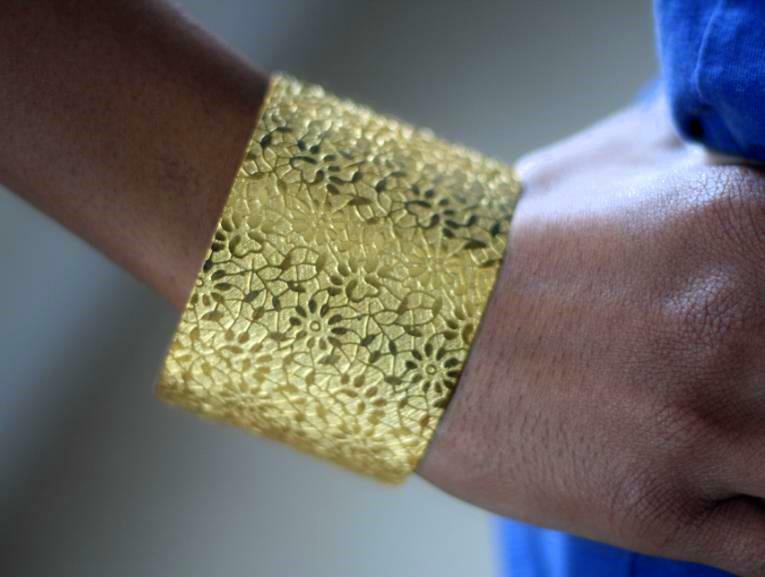 This cuff is gorgeous!! I'm following sadee's fb page!! I hope you had a wonderful birthday celebration!! This is such chic cuff. Signed up for the Sadee Says Newsletter. Fanned your Facebook page and Commented there letting you know I entered the giveaway! I Follow Sadee Says on Facebook.